*Model availability and pricing may vary by Big Lots location. Model availability and pricing may vary by Big Lots location. So far we have unboxed it and it's already almost to its full size. Its built so you really don't need sheets with it, but we bought the Serta cooling sheets along with this so we will have extra cooling all the way around. So far, from just laying on it for a brief few moments. It's like laying on a cool compress, and with this being the hottest part of Texas heat it feels amazing. If you are wanting a cooling bed definitely buy this one it is so far amazing! My sons old mattress was hard and it was also dipping in the middle. Its only been a day, but my son is so much happier with his new mattress. I was initially skeptical of purchasing a Serta mattress in a box, but internet reviews seemed to indicate a quality product. The unpacking process was straightforward, and the product expanded within a few minutes. The first night was amazing compared to our old mattress. I was happy that the cool-feel cover retained just the right amount of heat. I would recommend this product. I'm very pleased with my new bed and also pleased with the service I received at Big Lots. I had my first nights sleep on the new mattress and am very pleased. Even though my prior mattress had a deeper depth, I didn't sleep well on it. Our last Serta needed to be replaced. We had many friends spending ridiculous amounts of money on memory foam mattress. We liked our traditional Serta so much we decided to look at those first. After trying a lot of foam mattresses we bought another Serta. The quality seemed too similar to the higher priced versions for the difference in price. We expect just as many years of comfortable sleep on the new one. We bought the Allerton twin set for when our grand child visits. Couldn't beat the price for a brand name product. Nice and firm. It should last many years. Wife and I love this matress. Finally a mattress that is comfortable all night, we wake up feeling rested. It doesn't get hot at night. Well made material. Had trouble sleeping but this bed has fixed that it's so comfortable you dont even wanna get out of bed. Highly recommended. Was very impressed by how comfortable this mattress was. It really makes you look forward to going to sleep. This mattress is by far the best one I've had. It's comfortable even for a firm. It's not like the other firms that are as hard as a rock. Would definitely recommend this for everyone! Thank you for helping me get a good night's sleep! I’ve been wanting a new mattress for a while now and I must say my choice in getting this serta king size firm mattress was the best choice I could have made. This mattress has to be the best mattress I have ever slept on....bar none. I was cool all night...no sweating at all. The size of the king mattress fits all my standard king sheets nice and snug and doesn't move at all throughout the night. Easy to clean...just spot clean with a wet towel and some soap. I recommend a light mattress pad or cover to protect the mattress from stains. Very comfortable and doesn't create pressure points while I sleep so that when I wake up, I am refreshed and not still tired. Serta has the Stay listed as right between soft and firm on their scale but I'd say it leans towards the softer side, it's the type of mattress where you instantly sink and it molds to your body but it still feels very supportive through the night. I feel like mattresses are definitely personal preference, what's too hard or too soft for one person might be perfect for another but for me this was just about perfect. It's soft yet supportive and I don't have any of hip pain and leg numbness I experience with firm mattresses. Other than comfort, there were two things that stood out about the Stay to me, the first being the 4 layers of foam. The top layers give it that cushy sink in softness and the lower layers keep it supportive. If you press down hard enough especially at the edges you can feel the change in firmness. The second was the cover, it's soft and cottony and here's the big plus, it unzips all the way around (there's about an inch that does not unzip). I haven't tried it yet but it seems like it will remove completely for washing and underneath the mattress is covered with a cottony blue fabric. I have a 3-year-old and accidents happen so I'm probably overly excited that it seems to be removable and washable. It's a simple thing but it's a game changer and I can't believe all mattresses aren't made this way! Set up is fast and easy. The king box is roughly 21"x21"x46" and shipping weight showed 127 lbs, small enough to fit easily in a trunk and while heavy I was able to drag it in and set it up alone. Definitely get it on the platform or box spring before opening. It expands quickly and will be the full 12" within minutes. There is a minimal smell from the memory foam which I expected, it dissipates pretty quickly but I did open a window for a few hours to help air it out. I have bought several mattresses over the years for myself and my children. This mattress is by far the best. It is soft and comfortable. It is easy to get out of the box. Take the cover plastic off and it puffs right up. I slept so well the first night using the mattress. It is not stiff or too soft. Perfect height for me. Very pleased. And will be making more purchases for my children. I love this gel memory foam mattress! I like that it came in a box and as soon as I took it out it easily unfolded and I placed it on top of my bed box spring. The gel memory foam makes the mattress feel so soft, firm, and comfortable. It also provides a cooling effect which makes it much easier for me to sleep at night. Since having this mattress, I have slept great every night. I’m so amazed by the quality of this mattress. I don’t think I’ve had a better nights sleep than I have with this bed. First of all, unpacking it wasn’t too difficult, although it did take some time to fully unfold. But once it was done, it was immediately ready to use! It’s such a comfy bed, and sleeping was so easy! I definitely recommend this mattress. I can't say enough good things about this bed!!! I admit I was skeptical at getting a mattress that was delivered in a box, but I am so glad that I did get it! It is hands down the most comfortable mattress I have had. It is so nice not having to worry about springs or creaks when you are moving around. The mattress is great for all types of sleepers as well. I love to sleep on my back, but I can never seem to get comfortable in doing so,. This bed lets me sleep on my back and I wake without any back pain. The mattress conforms to all my curves and hugs everything just right. I also can move around without feeling like I am disturbing my partner and he sleeps just as well as I do as a side sleeper. I would definitely recommend this mattress and will be purchasing another one in the future. I like how lightweight the mattress and the box spring are. The mattress has got a good bounce to it, while also being quite soft to lie down on. I've had it for two nights, and I feel well supported and comfortable. Also, the prices cannot be beat! A little over $400 for both the box spring and mattress! I feel very happy with the value and quality I got. Thank you Big Lots and Serta Mattresses! This is the most comfortable mattress on the market for the price, it's unbeatable. I looked at tons of mattresses and even the ones for twice or three times the cost weren't as comfortable as the Serta Stay. Call around to your local Big Lots for availability, go check one out. You can even take it home in a box the same day and sleep on it that night! You will be so glad you bought it!  Enter your ZIP Code to have the three closest Serta retailers added to your mattress selector results. The Serta Motion Custom II has a sleek and modern finish to complement your premium Serta mattress and a variety of bedroom furniture. Sleep more comfortably with our 20-Year Limited Warranty and dedicated customer support. The Serta Motion Perfect III has a sleek and modern finish to complement your premium Serta mattress and a variety of bedroom furniture. Work with a dedicated setting ideal for using your computer or reading a book. Relax with pre-set lounge positions and pamper yourself using our new whisper quiet six level massage system. App with integrated Bluetooth: Shows real time bed articulated angles. Allows you to control the base using your smart phone or tablet. Free applications available for download from the Apple Store or Google Play Store.  Enjoy the Benefits of Adjustable Comfort & Support at an Affordable Price. The latest version of our popular affordable adjustable foundation allows you to adjust the head and foot of your mattress, so you can find the perfect level of comfort and support that’s right for you. The Serta® Motion Essentials® II Adjustable Foundation is designed to work with your existing bedroom furniture. Wired Remote: Allows you to easily raise and lower the head and foot of the mattress. Pre-Set Positions: Remote is pre-programmed with Flat and Lounge positions. Chrome Mattress Retainer Bar: Keeps the mattress slip-free. The Serta® Motion Select® Adjustable Foundation is available at select Serta retailers, and allows you to adjust the head and foot of the mattress for customized comfort and support. Plus, you can relax and unwind any time with advanced massage technology featuring varying levels of intensity. Work with your head and feet elevated, so you stay comfortable while using your laptop in bed. Relax with Advanced Massage Technology featuring 3 ultra-quiet, pre-programmed wave massage modes with 10 intensity levels. Play with infinitely adjustable head or foot settings that allow you to do everything from watching your favorite TV show to eating breakfast in bed. Exclusive Pro-Fit™ Retainer Bar System: 4 corner Pro-Fit™ retainer bars keep your mattress perfectly contoured to the foundation. Advanced Massage Technology: Ultra-quiet, 3 pre-programmed wave massage modes with 10 intensity levels. Pre-Programmed Memory Positions: 3 pre-programmed positions include Flat, Zero Gravity and Anti-Snore. PLUS- 2 programmable memory settings so you never lose your favorite positions. Enjoy Life with Simple Customized Comfort. The head of this foundation is easily raised in an infinite number of positions to let you quickly customize your comfort for reading, working on a laptop, watching television, lounging and even sleeping. The Serta® Pivot™ Adjustable Foundation is designed to work with your existing bed frame or bedroom furniture. Wired LED Remote: Allows you to easily raise and lower the head of the mattress. Pro-Fit™ System: 2-corner retainer bars are mounted to the foot of the base to help keep the mattress in place. High End Upholstery Finish: designed to complement your Serta mattress and bedroom furniture.